The Institute for Plant Based Nutrition (IPBN) is a professionally recognized non-profit charitable organization which provides scientific educational outreach, demonstration and developmental programs for people of all ages, economic, social, cultural and religious backgrounds regardless of their ability to contribute financially. It is a 501(c)(3) tax-exempt organization approved by the U.S. Treasury Department Internal Revenue Service Bureau and U.S. Post Office. It seeks recognition and non-profit organization tax exemption from the Commonwealth of Pennsylvania Department of Revenue. It recognizes and honors all laws of the State, Montgomery County and Lower Merion Township. Located in suburban Metropolitan Philadelphia in Bala Cynwyd, Lower Merion Township, Montgomery County, Pennsylvania, IPBN serves locally, regionally, nationally, internationally and globally. From this base, it maintains a network of people engaged in plant-based nutrition-centered scientific educational programs and research projects in the state, across America, and around the world. IPBN has an experienced professional volunteer leadership and time-tested strategy of working locally in positive community building efforts through volunteer associates serving on an unpaid basis as local or area or regional representatives. These colleagues share information and energy charitably without motivation for or acquisition of financial profit. Indeed, they contribute time and money to IPBN scientific educational programs and conduct field research in their various sectors. IPBN scientific educational program and research project efforts are linked through personnel, electronic network communications including telephone, email, facsimile transmission and an internet website as well as standard correspondence, flyers, brochures, a quarterly newsletter: PLANT-BASED NUTRITION, a newsletter for all people everywhere, printed listings and directories, topical monographs such as “Protein and Vitamin B12,” “Why I Eat At Least Ten Servings of Vegetables Every Day” and “Antioxidants: Allies for Good Health.” Only in its first year of development, IPBN will eventually publish books of relevance to plant based nutrition and related issues important to the scientific education of the public and general improvement of public health. at awareness, testing, acceptance and implementation of scientifically valid plant-based nutrition. IPBN collaborates with The American Vegan Society, North American Vegetarian Society, Vegetarian Resource Group, Physicians Committee for Responsible Medicine, Farm Sanctuary, Vegetarian Union of North America, The Vegan Society (U.K.) and other professional scientific educational charitable non-profit organizations. Initially, IPBN concerns have centered on developing collaborative relationships with I.R.S., U.S.P.S. and the Pennsylvania Department of Taxation Non-Profit Department, communications and information dissemination, initiation and development of organizational protocols and small-scale field testing of the theoretical scientific education bases upon which the Institute was founded. IPBN was designed to fill a tragic void, a vacuum or black hole from which essential scientific educational human health principles and facts, concepts and scientifically validated information related to plant-based nutrition have not been freed and made accessible to the general public and, in particular, the undereducated, underskilled, underemployed and underfinanced citizenry. Through educational programs, small-scale and replicable, IPBN demonstrates how to alleviate health related stress among individuals who are true subjects of charity, meeting their and others’ needs for scientific plant-based nutrition concepts, perspectives, information, perceptions and in alternative formats to counter the lack of scientific understanding of human disease, its major causes and correlates. Society has been misled and misinformed regarding the major human health problems of heart disease, stroke, cancer, diabetes and osteoporosis, and needs unbiased, non-political scientific evidence of effective plant-based nutrition strategies for preventing, alleviating and sometimes remitting these most prevalent dietary related diseases and still others. The poor have suffered and are suffering greatly because of the failure of large authoritarian institutions bureaucratic unwillingness to demonstrate the truths of simple living and benefits of plant-based nutrition. And in affluent America, the people of every class and status are suffering in ignorance of scientific healthful living principles. It as come to pass that those who should be teaching the truths of simple living are not, cannot and will not. Therefore, effective new organizations such as IPBN and vitally needed. Assessment of the healthcare system, school and college curricula, medical school training programs and governmental schemes, such as the federal school lunch program, food service for public employees in state and federal facilities and inappropriate nutrition provided during military operations, indicate clearly that scientific plant-based nutrition education lacks advocates, funding, practitioners and widespread acknowledgment. Rare is the medical doctor who has taken one course in nutrition, has a nutritionist as colleague or friend, or reads nutrition based scientific research reports. In healthcare systems, nutritionists and dietitians experience relatively low status, suffer quickly in economic retrenchments and have no significant influence on the food service system which feeds hospital staff, patients and visitors. With a federal school lunch program offering nutritionally mediocre meals – around 90% of them provided free to minority students living in desperate economic straits – which have 85% fat content, and a Congressionally imposed goal of reducing this by 2000 to only 65%, in a world where scientific studies suggest 10-20% fat in diets is a maximally healthy level, nutritionally – in America and in the Commonwealth – this is not good. There are bright spots, nevertheless, for the Gulf War experience forced military leadership to realize the need for exclusively plant-based food products and U.S. military service personnel now can have access to a vegan MRE (Military Ration for Emergencies) packet, purportedly designed for distribution in underdeveloped countries during famines and crises; and earlier National Aeronautical Space Administration (NASA) authorities convened vegan and vegetarian doctors to develop exclusively plant-based nutrition products for human consumption in outer space. Nevertheless, at this stage in American progress, some new type of scientific educational organization which has not existed in the past is needed and will be increasingly valuable in the future. 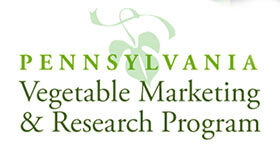 Other than IPBN, in Pennsylvania and the United States, there is currently no other organized center for scientific educational programs directly and exclusively related to plant-based nutrition accessible to the public of all economic and social conditions, classes, ethnicities, cultures and educational backgrounds which serves individuals, groups, organizations, institutions, agencies, horticultural and agricultural enterprises, food services, business and industry – consumers and producers at every level and of diverse sorts. There are, however, excellent resources scattered throughout the society which provide bits and pieces of essential information – however incomplete and incoherently presented in random ways. For example, there are half a dozen vegetarian societies and the National Institutes for health conducts some research relation to nutritional influences on particular etiologies. These societies, however, tend not to have explicit and exclusively scientific orientations and commitments and the NIH scientists tend to minimize the importance of nutrition in preventing, slowing and eliminating diseases, even where the efficacy of plant-based nutrition is common knowledge as in the case of colon cancer, for example. Further, U.S. Public Health Service has traditionally been concerned with water purification than food, the Food and Drug Administration considers e coli a great challenge and competes with a Department of Agriculture which does not consider fiber an element of nutrition and is committed to unloading excess fats and grains on the young who are institutionalized and, anyone else, any country not astute enough to realize the negative consequences, while feeding millions of children daily rations of scientifically demonstrably lifeless edibles. (The test for life quality and nutritional content of produce is a spectrophotometer reading which measures sucrose content of vegetables, fruits and other plant foods on a scale of 1 to 10. Both supermarket and school lunch produce tends to score low by this measure. It is a scientific example of how easy it is to assure food quality, and how far the society is from self-preserving awareness.) As regards scientific comprehension and understanding of sound human nutrition and its incontestable positive relationships with plant-based nutrition, there are scattered parts, not a whole. To pull this incoherency together into meaningful, scientifically validated and comprehensible forms requires professional scientific educational effort with the goal of offering plant-based nutrition concepts for everyone’s benefit. Unfortunately, no powerful or well funded entity has chosen to do the needful, rather most have seemingly chosen to profit from the problem and allow its negative effects to continue. This is sad, but not irremediable. IPBN is the missing link which pulls together the disparate variables – motivates, challenges, collaborates, melds, demonstrates and disseminates essential plant-based nutrition knowledge without concern for class or creed or ability to pay. IPBN helps the family and children, parents and employers, doctors and patients, teachers and students, farmers and produce sellers, food designers and marketers, restaurant chefs and diners, whether rich, middle income or poor. For Americans to reduce disease and healthcare costs, extend healthful lives and be freed to feel good, able to think and work more efficiently, they need help not previously available. Already, IPBN has demonstrated that it meets these challenges and thereby performs essential tasks government, healthcare institutions and traditional education cannot. Only a non-profit charitable scientific educational organization can serve these needs and interests; for this reason IPBN was conceptualized in 1996 and initiated in 1997. IPBN is off to a good start, yet it is neither fully developed or sufficiently funded to meet all the needs its design proposes to serve. It is a treasure deserving shelter. It warrants recognition, assistance, and support from all quarters. It cannot expect praise or transfer of resources from the vested interests committed to continuing promotion of bad nutrition which causes, prevents cure of, and is associated directly and indirectly with the major illnesses. God willing, over a ten year period the plan is to develop IPBN into a significant institution which serves individuals, the general public, suffering people of all sorts who can be helped by plant-based nutrition, teachers and students, doctors and nurses, nutritionists and dietitians and infinite others who will hear of its contributions – and replicate them, enroll in its scientific training and nutritional education programs, volunteer and spread healthful plant-based dietary patterns far and wide. To increase its benefit to society, from the initial two hundred dollar capital base, the IPBN financial goal is to develop itself into a one million dollar a year charity over the first decade (1997-2007). In this goal, IPBN is following the model demonstrated by another 501(c)(3) charity, which also started in Pennsylvania, but with a bit less initial capital, and achieved the goal level over ten years with its greatest growth occurring after departing the Commonwealth for an adjacent state. Assuming an economic benefit multiplier effect of six (6), that one institutional outmigration cost the Commonwealth at an annual of $6,000,000.00 and represents a true loss of jobs and reduction of economic growth for Pennsylvanians. Such loss has economic costs which exist perpetually and this transfer of intelligence and value has been particularly regrettable. The economic value of vibrant growing non-profit organizations in a state economy is more than significant; it is essential. There is need for IPBN in the Pennsylvanian metropolitan Philadelphia and Montgomery County economy. It’s existence and growth do not cost jobs, they support them. And if, in its first year, IPBN only spends $10,000.00, its net positive effect on the area economy will be between $60,000.00 and $100,000.00. Even this small amount provides work opportunities, the equivalent of several jobs and considerable multi-level tax revenue for federal and state operations. After all, IPBN income must be used to buy goods and services in the larger economy. Dollars spent on gasoline, paper, film, printing, food, shipping and mailing, electricity and telephone, computer materials and services and other things express economic activity and stimulate it in ways primarily benefiting Pennsylvania small businesses and local and State tax collections. Absent IPBN, there would be less economic activity than there is, though its micro-economic effects are certainly small at present. IPBS has been developed with economic considerations in mind and it is an asset for surrounding economies. IPBN aims to demonstrate that a plant-based nutrition-centered organization can start, grow and continually benefit the public from a Pennsylvania operations base. IPBN scientific educational programs and research projects demonstrate economic development models which enhance the state economy while simultaneously benefiting those individuals, groups, and institutions who are collaboratively involved. IPBN does what the Commonwealth of Pennsylvania cannot. The State Departments of Education, Agriculture and Public Health have not represented plant based nutrition as well as should have been the case, nor have state schools, hospitals and other organizations maximally served the health of citizens, in particular the poor. Despite good people and good intentions, States are political bureaucratic entities which rarely have interest in people’s nutritional needs. To provide scientific educational programs whereby plant-based nutrition serves people, non-political, non-bureaucratic, non-profit charitable efforts are required. The Institute for Plant-Based Nutrition is a non-governmental organization specifically designed to achieve its scientific educational program goals through flexible, adaptive change agent strategies aimed toward the public good. Though the IPBN budget is small, it uses the economic multiplier effect to generate maximum productivity benefits and innovates to demonstrate efficiency. For a first-year start-up charity, this scientific educational non-profit organization has sufficient human and capital resources to seed its future expansion and growth. It seeks to serve even more and even better in each successive year of its evolution. Someday, its leaders hope IPBN will have earned recognition as a major contributor to human health and economic development through plant-based nutrition. IPBN exists to serve as a model, demonstrating how proper scientific educational programs related to plant-based nutrition can and should be developed. Hence, it need not initially be large or richly endowed financially. The concept alone is tremendously powerful and richly endowed by a proliferation of scientific evidence gathered by researchers studying disease and socio-economic patterns implicitly yet clearly attesting to the need for and benefits of plant-based nutrition among individuals, families, groups, communities and the larger portion of society. An idea, the time for which has come, IPBN is already selflessly, charitably, scientifically, educationally, morally and ethically serving Philadelphians, Pennsylvanians, Americans and the world. IPBN is well organized and well led. As director of Educational and research programs, Dr. James M. Oswald (Ed.D. Stanford University, 1970) is a professionally respected educator and research project director and coordinator with over forty years of global, international, regional, state and local experience. His work has included professional education responsibilities for kindergarten through 12th grade, college, and university -bachelor, master and doctoral level, teaching, research, curriculum design, development and implementation, writing, speaking, publishing of public school text materials, scientific science and social science project initiation and delivery, research, research and development grant management, organizational and institutional management. In the 1960s, he was a leader in the Social Science and Social Studies Curriculum reform movement and early consultant with the National Assessment of Educational Progress which was initiated by a council of superintendents and then turned over to a new organization of governors. Much earlier, in 1940, at five years of age, he was a vegetable picker whose produce – along with that of other paid-by-the-pound workers – was used in the Rooseveltian-Johnsonian experimental school lunch program initiated in Plainview, Texas. By 1944, he was a restaurant dishwasher and potato peeler. From an early age he has worked with food and nutrition in a variety of roles. He has worked as a laborer, owned small businesses in Pennsylvania, consulted for public and private institutions. He has worked in Pennsylvania charities as a volunteer, and non-profit educational systems as an employee, since 1975. At Community College of Philadelphia, he assisted in the development of a course educating students regarding non-profit charitable organizations. In Metropolitan Philadelphia he has served on the board, in diverse leadership roles, and been president of the American Youth Hostels Delaware Valley Council which manages five non-profit hostels in Federal, State and County Parks and on trust-owned land elsewhere. In academic and community development circles he has participated in the Eastern Pennsylvania Energy Education Council which assisted schools in this area of concern, and with leaders from other colleges and universities in non-profit community development efforts. He was a Community College of Philadelphia administration representative during the initiation of the Economic Empowerment Zone development in north and west Philadelphia Hispanic and African American areas where he had previously worked and was known. Dr. Oswald served in the United States Army during the Vietnam Era some fourteen years between R.O.T.C. service commencing in 1953 and his resignation of his officer’s commission to free him to honorably and independently protest the U.S. military involvement in Vietnam in 1969. In the same times, he urged students to honor their draft notices and serve honorably. As a non-violence advocate activist who honors defensive national military service and a peace movement participant, he understands the principles and history of war – having researched a masters degree thesis on the military slaughter of native American populations in the west between the Civil War and 1891. He is accustomed to the moral dilemmas of modern society and knows how to use ethical conflict resolution strategies effectively. He is a student of Gandhi’s “satyagraha” truth power concept, and a follower of this strategy for educating and enticing positive behavioral change. He is also skilled in the change agent strategies developed by the U.S. Department of Agriculture in the 1930s-1960s, and aware of their critical analyses by sociologists and published by the Russell Sage Foundation. He understands that a few people, committed and with good will, can change the world – and that many times they have. In the 1960s, he worked vigorously through the National Council for the Social Studies to motivate citizens to approve the right of eighteen-year-olds to vote. In the late 1970s and early 1980s, he worked with Pennsylvania legislators to eliminate the sales tax on cordwood to heat homes in a time of oil shortages, electrical brownouts, and economic crises. His specialty is to go where most others dare not tread, typically starting with nothing, building something good, and then giving it to the benefit of others. He is an educated and highly trained experienced general problem solver with a record of success documented in The Library of Congress, Who’s Who in Finance and Industry (since 1979) and in some editions of Who’s Who in Education, Who’s Who in the East, Who’s Who in the World and other such directories. He has been a longstanding member of the American Educational Research Association, Social Science Education Consortium, International Society for Performance and Instruction, Phi Delta Kappa honorary professional educational fraternity and International Platform Society. His scientific educational program projects have been funded and supported by National Council for the Social Studies, Social Science Education Consortium, National Science Foundation, Westinghouse Learning Corporation, United States Department of Education, USOE Research Division, World Law Fund, American Institutes for Research, American Universities Field Staff, and Field Staff International as well as school districts, colleges and universities. Thousands of Pennsylvania students and millions of others across America – as well as abroad – have studied his social studies textbooks and global cultural studies materials during the 1960s, 1970s, and 1980s. Few may remember having read his Planet Earth or Our Home The Earth, as their fourth-grade textbook, “Man At Aq Kupruk” and five hundred other readings and activities of the Field staff Perspectives series of publications for grades 8 through 12, or The Monroe Doctrine, Does It Exist? In 11th or 12th grade. In the 1980s and 1990s, hundreds of faculty, tens of thousands of Community College of Philadelphia students have used his educational materials in their over five hundred courses which he and teachers have collaboratively developed. Hundreds of CCP students have been educated through his Vegetarian Club, Energy, and Environment Club, and International Club through which they have traveled with him and his wife, at extremely low cost and non-profit, to Canada, Mexico, Puerto Rico, England, Spain and Morocco by bus, airplane and boat. Working in Pennsylvania education since 1975, he has served as an assistant superintendent for curriculum and instruction in East Penn Public School District (1975-1978), Research for Better Citizenship Education Project in Philadelphia’s Fishtown, Lancaster, Camden, Woodbury and Wilmington public schools (1978-1980) and as the instructional development specialist at Community College of Philadelphia (1980-1996). Dr. Oswald has recently been asked to help the global “Food For Life” program which feeds plant-based meals in war zones and areas in crisis areas around the world. This request came on a Sunday morning by electronic mail from FFL director traveling in Australia. His response was, “Of course I’ll help. It would be an honor. How can I serve best?” And so FFL is added as another collaborating charity which serves free food in America’s troubled cities and wherever on earth there is hunger and malnutrition. Dr. Oswald has earned awards, scholarships, fellowships, grants and degrees at the highest levels of professional achievement. His vita, resume and list of creative works record hundreds of articles, books, programs, projects, presentations and other realia developed for the public good. His thousands of students are performing significant duties throughout society and many are in roles of extraordinary significance around the world. He retired from institutional public education at CCP June 30, 1996 to do charitable work in collaboration with his wife of forty-two years, Dorothy A. V. Oswald, IPBN co-founder and co-director. He is financially independent and contributes himself full-time to IPBN, serving without salary. In his role at IPBN, Dr. Oswald identifies talented people and helps them develop their own expertise so that they can compete effectively in a changing world, secure their own lives, building their confidence and reputations, giving them leadership opportunities which are challenging and beneficial to society. He is a people builder who encourages healthy human development. In several of his U.S. Office of Education and National Science Foundation supported efforts, he has used the project goals to “humanize,” that is, to and bring out the very best human qualities in others through the most humane efforts. This moral-ethical-philosophical commitment in implicit in the design and conduct of IPBN. As a scientific researcher, Dr. Oswald follows standard American Educational Research and National Science Foundation professional ethics and protocols. He uses standard formal research designs as described by Campbell and Stanley in educational research literature. He also uses informal case study research designs based on American Anthropological Association and American Psychological Association anthropological and psychological research subject protection, data collection and analytical techniques and report standards. Trained in science, social science and history, he has a strong professional background with a humane ethical perspective. As an ethical vegetarian-vegan he is eminently qualified to serve as IPBN educational programs and research director. Along with other IPBN volunteer associates who are medical doctors, dentists, chiropractors, nutritionists, dietitians, nurses, professors, psychologists, faculty at all levels, librarians, researchers, attorneys, farmers, food technologists, food service managers, wholesalers, distributors, retailers, caterers, restaurateurs, editors and many others, Dr. Oswald is developing an IPBN team which is without peer in such scientific educational work on behalf of plant-based nutrition. Dorothy A. V. Oswald is co-founder and co-director of IPBN. She earned a bachelor degree with specialization in elementary education and homemaking (B.S., West Texas State College, 1957) and an associate degree in Hotel, Restaurant and Institutional Management (A.D., Community College of Philadelphia, 1986.) She has worked in a variety of food service roles from college cafeteria server to cook, pastry and salad chef, hostess and maitre’d. She is trained in small and large scale cooking, vegetarian, vegan and raw food preparation. As a child during the Great Depression and World War Two, she also provided farm labor as a vegetable picker and, at ages ten and eleven, was cooking to feed as many as ten family members and farm hands while her Father drove a combine and her Mother drove a truck.. With her husband of forty-two years, she has raised three children who are self-supporting independent citizens of Pennsylvania and Minnesota and who among themselves have earned tone associate (Community College of Philadelphia), two bachelor (West Chester University and Macalester University), one master and one doctoral degree in social science (both at the University of Minnesota). Mrs. Oswald contributes herself to IPBN through full-time non-salaried volunteer service. Dorothy and James Oswald have attracted talented associates who advise and also volunteer time serving IPBN projects. These currently include a medical doctor, dietitian, bus driver, professor, vegan kosher restaurant proprietor, computer specialist, vegan chef and diverse others. The IPBN talent pool expands regularly and new individuals join the effort. Though IPBN has no employees, it exists entirely with volunteers and donations, and the budget is small, it uses the economic multiplier effect to generate maximum productivity benefits and innovates to demonstrate efficiency. For a first year start-up charity, this scientific educational non-profit organization has sufficient human and capital resources to seed its future expansion and growth. It seeks to serve even more and even better in each successive year of its evolution. Someday, its leaders hope IPBN will have earned recognition as a major contributor to human health, human and economic development through its scientific educational programs and research demonstrating the benefits of plant-based nutrition. Presentations and displays and food demonstrations at fairs, festivals, and other gatherings. (Fully implemented, limited by funding). Demonstration gardens in low-income urban, suburban and rural environments. (Fully implemented in urban, suburban settings, expanding exponentially, next scheduled for rural implementation). These descriptions of current scientific educational programs and research projects are provided to indicate the breadth and depth of IPBN commitment and its involvement in plant-based nutrition education. Science is defined as a systematic effort to reduce uncertainty. Social science is defined as science applied to social phenomena. Training is defined as the systematic provision of positive stimuli which reinforce changes in behavior. Goals are defined as desirable outcomes not necessarily achievable with resources and time available. Objectives are defined as desirable outcomes achievable with resources and time available. Purposes are defined as reasons why a task is undertaken and why particular goals, objectives, and accomplishment strategies are selected. Strategies are defined as conscious directions of aim so as to accomplish objectives and goals. Performance measures are defined as observations of behavior or attitude in educational and training environments. Performance criteria are defined as predetermined and explicit observable descriptions of varying levels of behavior or attitude and stated parameters of acceptability in educational and training environments. Research is defined as a scientific effort systematically controlling independent variables, observing, measuring and reporting of dependent variables in an ethical and replicable context engaging subjects and established with the intent of ascertaining useful knowledge which is transferable and leads to deeper comprehension and better understanding of physical and mental phenomena. Leadership is defined as conscious, openly acknowledged, principle expressing, goal setting, risk assessing and accepting, modeling human behavior intended to encourage and motivate self and others, guide and humanize people-centered activities to effect advancement, accentuating the positive and eliminating the negative while helping people grow toward ideal states of being. Humanization is defined as a conscious process whereby human beings are treated openly, rationally fairly and caringly so that their persona are honored and preserved while shared objectives, goals, and purposes in which they have voluntarily invested are achieved through wholesome productive collaboration. Disease is defined as an absence of health, a malfunction, an imbalance with causes which may include genetic background, previous and recent exposure to radiation, chemical pollution and non-edible plant toxins as well as bacteria, fungi, viruses, prions, internal and external parasites, bodily inability to produce needed enzymes, hormones, white and red blood cells and other as yet unidentified factors, or to naturally heal and rebuild tissue as well as self-detoxify through the normal processes of liver and kidney filtering mechanisms, exhalation, sweating, urination and defecation. Plant based nutrition is defined as a dietary pattern incorporating food quality algae, bacteria, barks, berries, bulbs, enzymes, fibers, flowers, fruits, fungi, grasses, juices, leaves, microbes, oils, pods, pollens, roots, saps, sea vegetables, seeds, sprouts, stalks, stems, tubers, vines, yeasts, and their extracts such as infusions, juices, plant source vitamins and minerals. It classifies vegetables as fruits (tomatoes), stalks (celery), and tubers (potatoes), for example, and views seeds broadly (as including grains, legumes and nuts). In this taxonomy, rosemary is a leaf (as well as an herb and spice), a fiddlehead fern is a stalk along with leaves, and Irish moss is considered a leaf cluster. Perhaps the single most essential single nutritional substance is plant chlorophyll which transforms sunlight into proteins, starches and sugars and is immediately assimilated; its molecules are identical to mammalian blood heme with the exception of the former having an ion of magnesium and the latter an ion of iron. Fiber is also considered essential, equivalent to a nutrient – as in the case of bran in fat binding and cholesterol reduction. In addition to the consumption of edible plants, their parts and substances, diverse other so-called processed or manufactured foods can be made by various combinations and procedures resulting in, for example, kimchi or sauerkraut (fermented vegetables); tempeh (soybeans transformed by mycelium); wheat meat or seitan is produced by washing away starch and retaining gluten; tofu or soy curd is produced by grinding, boiling, then filtering and coagulating the solids; beet pulp is fermented to grow microbes which concentrate cobalt and make it available as cobalamin or Vitamin B12; wheat grains are squeezed to extract oil from which further extraction can concentrate Vitamin E; oat fiber can be ground into particles so microscopic as to allow them to emulsify and suspend themselves in water as oat milk; and so on infinitely so long as there is interest in uncovering nature’s secrets and constructing pleasing nutritious foods. More vitamins than those currently known and enzymes more numerous than have been cataloged, can be found in, isolated from, extracted and stored in liquids, powders, emulsions or waxes for storage and later systematic nutritional supplementation. Then, combinations of plant materials can be dried, powdered and used in any ways desired. It promulgates proper breathing, realizing that oxygen is basic for human life, requires adequate consumption of pure water and minerals from earth sources along with appropriate physical exercise and positive mental health. It accepts the body as whole and urges the growth and consumption of whole foods, urging maximum consumption of fresh raw nutrients and minimal use of cooking processes. At the core of this conception is satisfying understanding and comprehension of the reality that there are not any non-plant foods.